Divorce mediation is the best low-cost alternative to divorce lawsuits. It is a less-stress process in negotiating an agreement out of the court. Mediation is completed with the assistance of a third party who is called a mediator. A third party mediator is neutral, which means he/she only work for the benefit of both parties. The mediator is not a judge has no authority to make divorce decisions. Divorce mediation cost will vary depending on the issue. 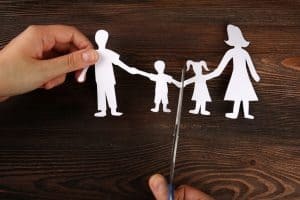 However, most mediation sessions are charged either per session or per hour — a typical mediation session for divorce last about two to three hours. • Set-Up Fee – A divorce mediator will charge a setup fee for meeting both parties to discuss the dispute. During the first stage of the mediation, the couple and the mediator will list all the issues to be resolved. • The Number of Divorce Mediation Sessions – The overall costs mediation will be determined by the number of mediation sessions. • Private Mediation – A private divorce mediator may charge from $100 to $1000 per hour. The average cost of a mediation session per hour is $100-$300. The exact amount of mediation cost will depend on the mediator’s experience and the mediation session’s location. • Community-Based Divorce Mediation – This type of mediation is offered to couples through a community-based, government-funded agency. Also called as legal aid, is the type of mediation will help couples to resolve issues while the cost is reduced or paid for them. Aside from these factors, there are other costs associated with mediation. For instance, once the couple resolves the issues, they will still need to pay the charges for creating a document, and this can cost from $500 to $1,500. Also, divorce costs mediation may still incur fees depending on the following. Divorce mediation can save couples from dealing with a lot of time, aggravation and money during the process. Just think about a divorce to be settled in a trial court, both parties will need to raise the issues that they find troubling. 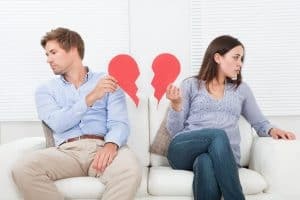 Though couples may not believe it, they have control over the divorce in mediation. A mediator is neutral and does not have the power to decide on a divorce. The recommendations couples will receive are just recommendations, and the couple has the final say. Once couples take their issue to court, the judge has the final say on the matter. Also, courts are crowded which is not a good place to discuss pressing family issues. At the same time, dates are hard to come by. The divorce lawsuit can also drag on much longer of one party decided to cause delay. This can be very stressful not just because of emotions but also the legal fees that both parties need to pay as the case goes on. Divorce mediation can avoid these things. The best part about mediation is not only it’s a low-cost alternative to court lawsuits, but the peace of mind it can bring to post-divorce. Mediation can take away the years of stress and the expensive costs of legal fees that can pile up throughout the case.